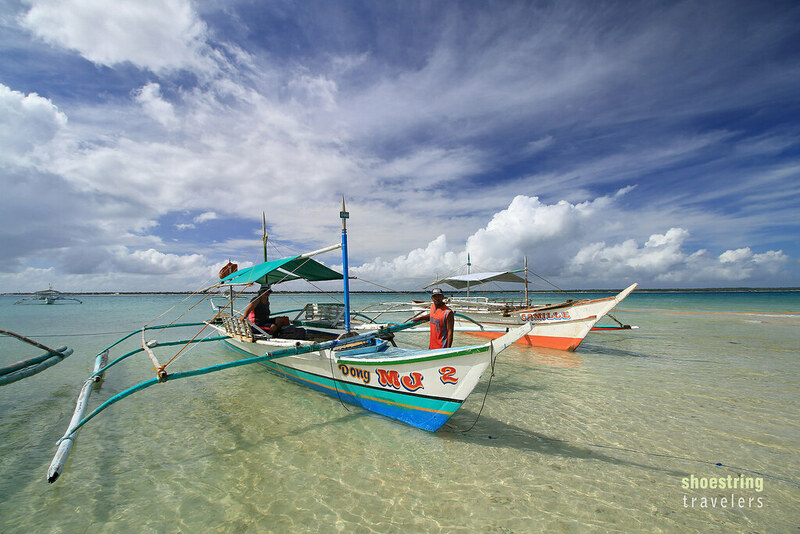 Bantayan Island was largely under the tourist radar when we first visited the place two decades ago. Located off the northwestern coast of the island of Cebu, it wasn’t an easy place to get into, needing 4 hours of bus ride from Cebu City and another hour’s worth of ferry ride. But the long stretches of powdery white sandy beaches and crystal-clear emerald waters made the long trip worthwhile. Our second visit last month was to be no different as even more attractions in and around the island have opened up to visitors. 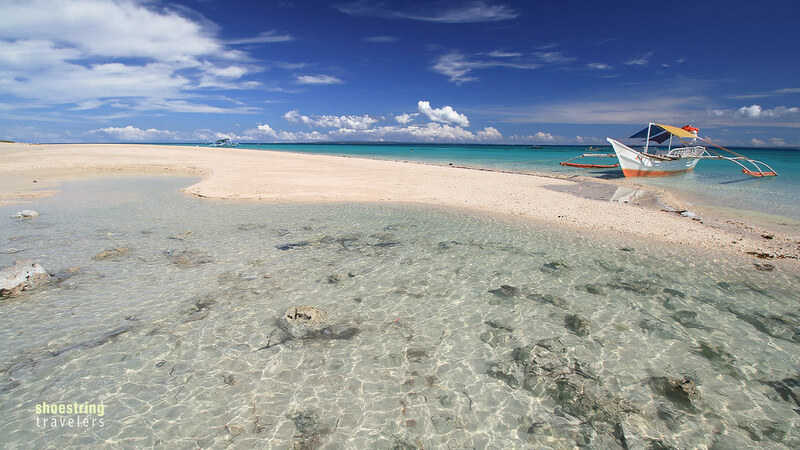 Bantayan’s main attraction is its white sand beaches. 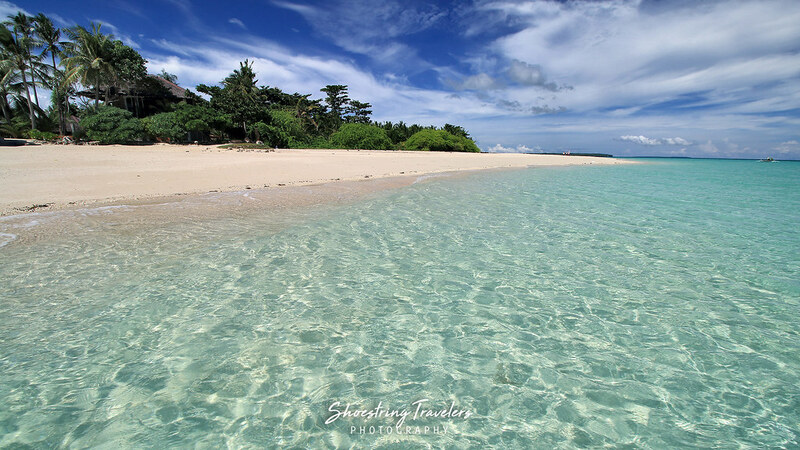 There is a kilometers-long stretch of white sand beach from the southeastern corner of the island that runs all the way to the Bantayan Island Nature Park and Resort at the central section of the island’s eastern coast – all within the municipality of Santa Fe. 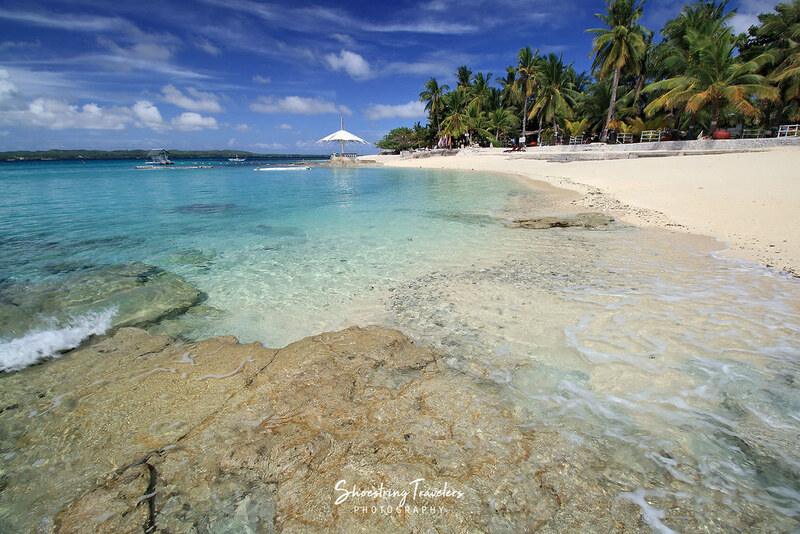 The wide beachfront and shallow, crystalline waters make this stretch of beach perfect for swimming. Many of the resorts can also be found along this long stretch of white beach and visitors can go resort-hopping to observe features of the resort beachfronts. Along this stretch of beach is the resort where we stayed at, Kota Beach Resort. Kota is a favorite among locals as the shooting location of the movie Camp Sawi. Its sandbar and shallow lagoon make it perhaps the most beautiful beachfront in this part of the island. There’s a P50 entrance fee here if you’re not staying at the resort but this is waived if you’re dining at their restaurant. 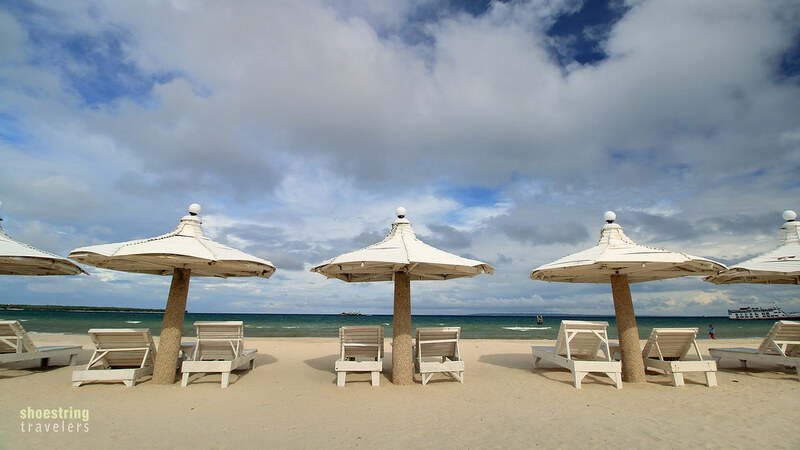 Other noteworthy sections of Bantayan’s long stretch of white sand beach include Alice Beach on the eastern side of the island and Sugar Beach to the west of Kota Beach Resort. 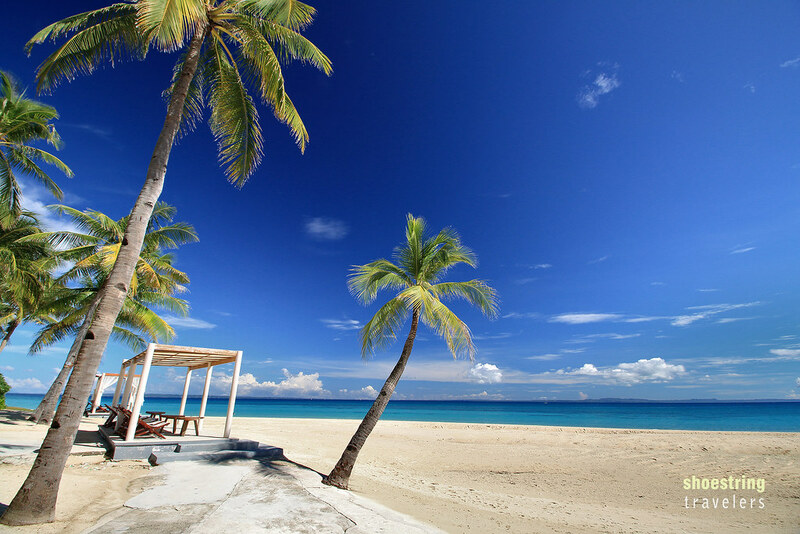 Sugar Beach has perhaps the widest beachfront in Bantayan, complemented by its numerous coconut palms. Marlin’s Beach Resort just north of Kota Beach also has a nice and wide sandy beach with shallow waters (P50 entrance fee). At the western end of the long stretch of white sand beach is Ogtong Cave, a small cave encompassing a natural freshwater pool located within Ogtong Cave Resort, an annex of the Santa Fe Beach Club (the resort on the eastern coast where we first stayed eons ago). Ogtong Cave Resort has an entrance fee of P200 which gives you access to their swimming pools beside other amenities. Just south of Ogtong Cave is the Santa Fe Cliff Diving Spot situated right beside the main road and near the ruins of a building. 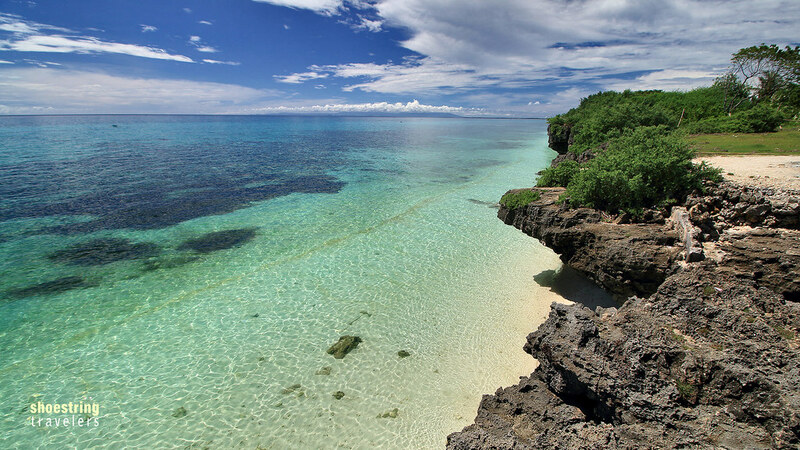 The coastline from Ogtong Cave to the Obo-ob Mangrove Eco Park has several scenic stretches featuring rocky cliffs on white sand beaches including the beach at Kandugyap House by the Sea and Maricaban Beach in the area of the White Beach Bungalows – Cebu. The Obo-ob Mangrove Eco Park is a mangrove forest near the southwestern corner of the island. It may be explored by boat, by kayak or on foot through an elevated bamboo walkway. There is an entrance fee of P50. Obo-ob Eco Park is about 45 minutes away by trike from Santa Fe town proper. 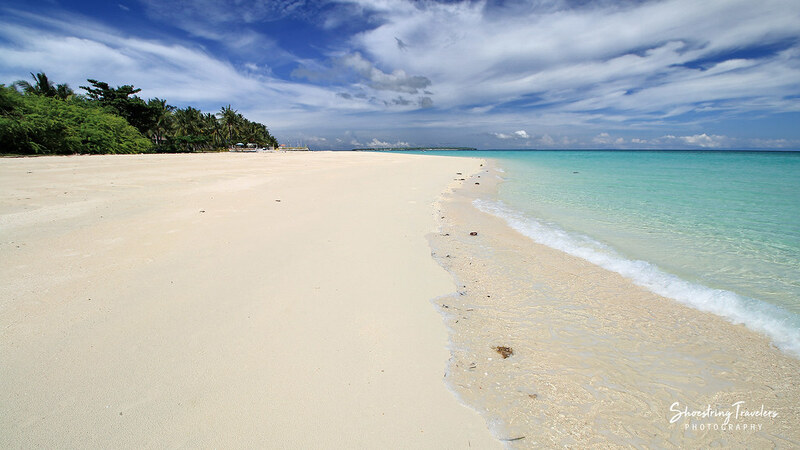 Arguably the most beautiful beach along this coast and perhaps in all of Bantayan is Paradise Beach. 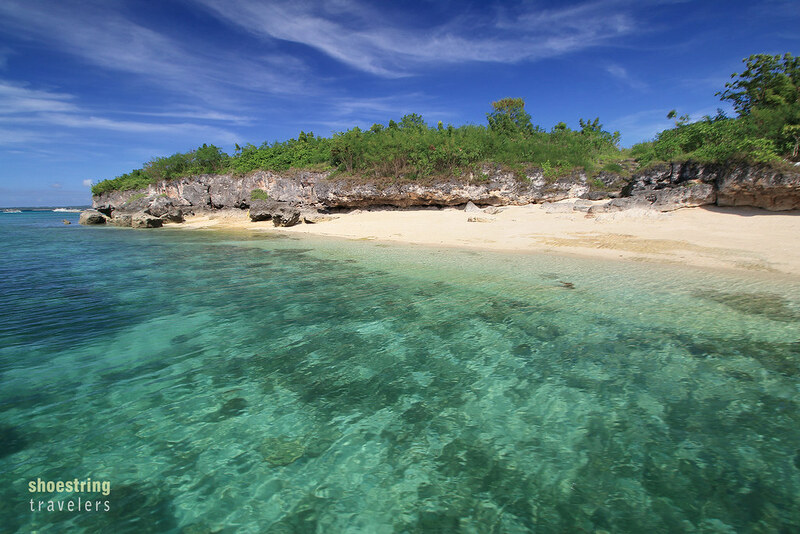 If you’re looking for a secluded and pristine beach in Bantayan, this is the place. With an entrance fee of P50, Paradise Beach is not too hard to get to, needing just a 10-15 minute trek through a trail just off a paved road. Trikes at Sante Fe town proper can take you to the jump-off point in less than 30 minutes. The views here are gorgeous – a pristine white sand beach, crystal-clear turquoise and aquamarine waters stretching into the horizon and ruggedly beautiful rock formations. The above destinations are all located in Santa Fe and Bantayan towns on the southern and eastern sections of the island. The third municipality, Madridejos, lies in the northern end of the island and also has its own attractions. Kota Park is a historic park that contains the ruins of a Spanish-era fort and watch tower. Nearby is the Bontay Baywalk—a 187-meter footbridge jutting out to the sea amidst the white sand beach and colorful waters on the northern edge of Madridejos town. This town is also home to the Saints Peter and Paul Church, first built in 1580 and the oldest parish church in the Visayas and Mindanao. 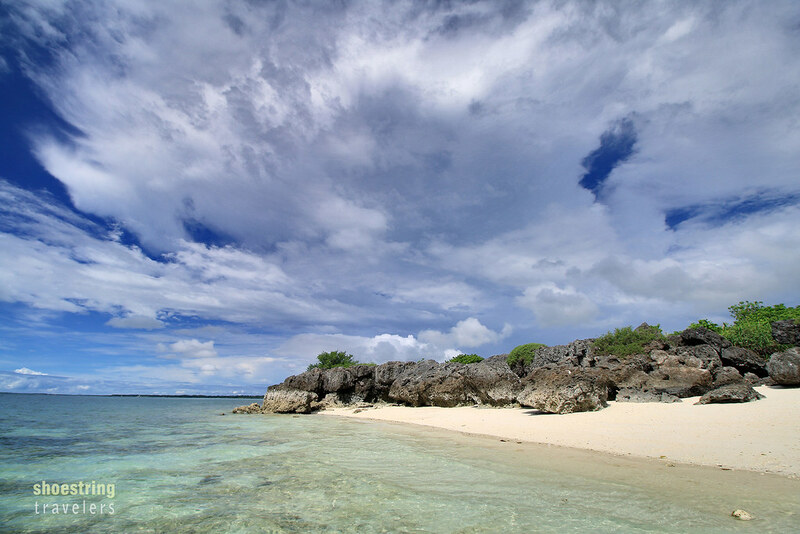 Off the eastern coast of Bantayan are two smaller islands: Silion and Hilantagaan Island. Hilantagaan island is the larger of the two and is a 20-minute boat ride from the nearest point at Bantayan Island’s eastern coast. The southern and southwestern tips of the island includes stretches of untouched white sand beaches and lively marine life. Silion is more popularly known as Virgin Island and is likewise a 20-minute boat-ride away from the jump-off point near Abaniko and Anika Resorts in Santa Fe. The island has a gorgeous white sand beach where you can swim and snorkel in crystal-clear turquoise waters. A short trek through a small forest brought us to another white sand beach with a rocky cliff on its western end that is used for cliff-diving. Bantayan Island has become much more popular since we last visited in the 1990’s and is now home to a multitude of resorts and dining places. Majority of the resorts are located on the island’s southeastern corner in Santa Fe town. We stayed at Kota Beach Resort since we wanted to be near its sandbar and lagoon but there are plenty more resorts nearby that offer attractive beachfronts such as Marlin’s Beach Resort, Budyong Beach Resort, Santa Fe Beach Club, Beach Placid, Anika Island Resort and Abaniko Beach Resort. A little bit inland there are cheaper resorts and stay-ins. There are also a number of beach resorts on the rest of the southern section of the island. Dining is not a problem as well. Most of the resorts have their own restaurants but there are also several cafes and restaurants at Sta. Fe’s Poblacion or town center worth checking out. Caffe Del Mare is an Italian restaurant and bar that makes fresh homemade pasta and pizza. It is located along A. Batobalonos St. and is walking distance from the parish church. This street is also where many of the restos and bars are located. Almost adjacent to Caffe Del Mare is MJ Square, a food park and dining hub where one is presented with an array of food choices including Greek and Mexican food. MJ Square is where we ended up dining most of the time since it is also just a short distance away from our resort. Popular stalls at MJ Square include Bantayan Burrito Company, a food stall that serves excellent Mexican dishes (we thoroughly enjoyed their burritos). We also found out that they make their nachos from scratch. Also at MJ Square is Hellas Taverna that serves delectable but affordable Greek cuisine. Shake Me, offers fresh fruit shakes made from local fruits. For desserts try Cupcake Island Cakery. There are a number of stalls and restaurants serving international dishes but if you’re in search of local fare, especially fresh sea food, you can try HR Music Bar & Native Restaurant located just across the street from MJ Square. Fly to Mactan–Cebu International Airport. Philippine Airlines, Cebu Pacific and AirAsia all have flights to Cebu giving you plenty of choices. Take a ride to the North Bus Terminal. At the airport you may take a taxi cab, or get Uber or Grab to get to the North Bus Terminal. Fare is between P200-P300, depending on traffic. Board a Ceres bus bound for Hagnaya Port at the North Bus Terminal. Travel time is around 4 hours. Fare is P165 for air con buses. There’s also a bus that goes directly to Bantayan town on the island via a RoRo ferry for a higher fare (P200). Board a ferry bound for Santa Fe Port. First trip is at 3am while the last trip is at 5:30pm. There are two ferry lines serving this route: Island Shipping and Super Shuttle. Travel time is about 1 hour and the fare is P170. You also have to pay a P10 terminal fee. Take a tricycle to your resort. From Santa Fe port take a trike to your resort (fare is usually P20-25 within Santa Fe town). Some resorts like ours have a shuttle service which can pick you up at the port. 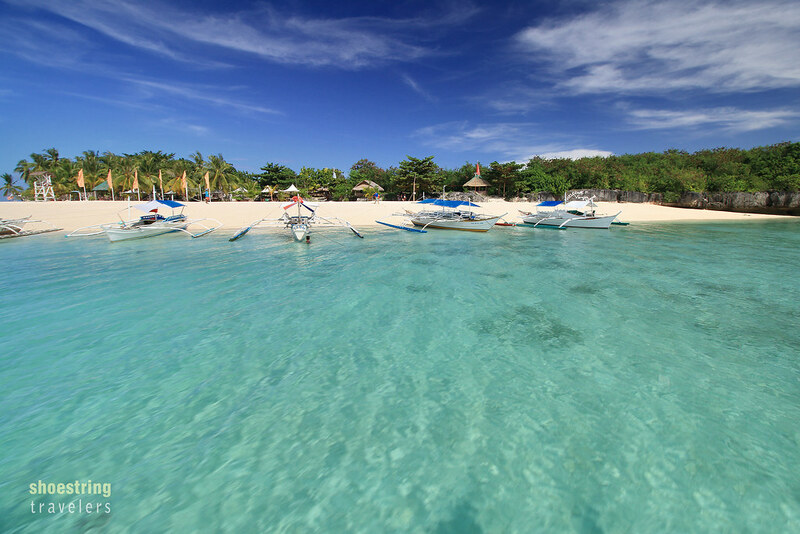 Posted in Cebu, Travel PhilippinesTagged Bantayan Island, beach, beaches, Cebu, central visayas, cliff-diving, featured, Hilantagaan Island, Kota Beach, Paradise Beach, Santa FE, Virgin IslandBookmark the permalink. Thanks Gly! It helps a lot when the place is as beautiful as Bantayan Island. Hi! Thanks for this! Such a good read especially for prospective travellers. 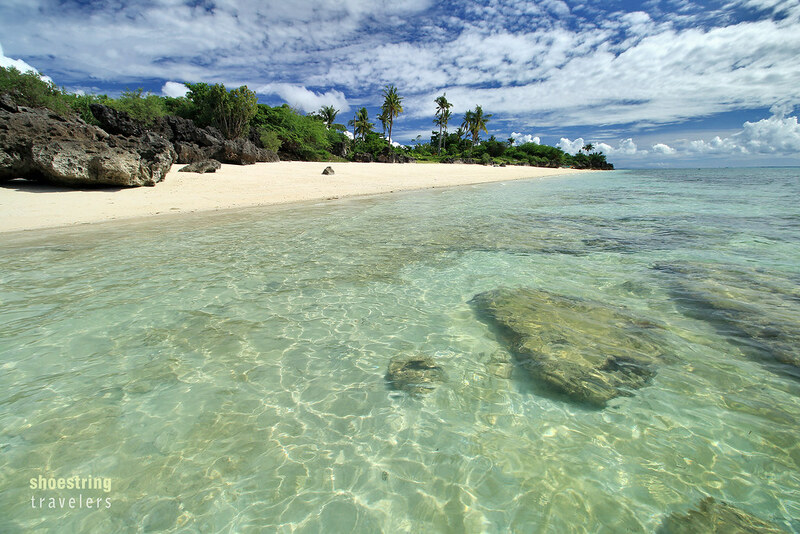 We are actually visiting Bantayan this Feb. We’ll be staying in Beach Placid. Are there available tricyles in the resort that will bring us to Obo-ob? Saw in the map that Beach Placid resort is quite far. 😦 Thanks! Hope you could help us! Thanks for visiting! Usually there are trikes waiting near most resorts to take you to places such as Obo-ob. It was like that in our case (at Kota Beach Resort). It shouldn’t be a problem but in any case the resort people should be able to help you. Thank Belissa! Yes we’ve been to Coron twice before. It’s one of the most beautiful spots in the Philippines that we’ve been to and there are still several islands to the north and west of Coron town that we haven’t visited. We might need more than a week to explore all that Coron has to offer. Im going here in May and your blog has gotten be very excited! Thanks for your blog 🙂 Due to increased tourism you can now get a flight from cebu to bantayan dirent – imagine that! Thats good! Enjoy your May visit. Great photos and nice blog! I’ve been wanting to go to Bantayan Island. Have you been to Leyte/Biliran? It is also a nice place to visit. You can go to Sambawan, Kalanggaman and Cuatro Islas. Thanks Elise! Yes we’ve gone to Kalanggaman and Cuatro Islas. Leo has been to Biliran but not to Sambawan (only to the main island, Higatangan and Dalutan Islands). Might visit Biliran again someday.